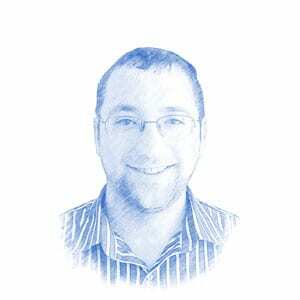 Jonathan Benedek, Author at Breaking Israel News | Latest News. Biblical Perspective. ‘We promised to advance building in Judea and Samaria and we kept our word,’ said Israeli Defense Minister Avigdor Liberman. ‘If in order to win the international propaganda war I need to lie like Hamas, then I prefer to tell the truth and lose,’ wrote Brig.-Gen. Ronen Manelis. One of the houses damaged in Sderot was the home of Mayor Eli Moyal. The decision to grant the new name to the square was actually made a year ago by Jerusalem’s Names Committee and well before Trump’s announcement on moving the US embassy to the Israeli capital. The kites carry containers of burning fuel and other flammable materials that have already scorched dozens of acres in Israel. Top aides in the White House reportedly are no longer attempting to convince Trump to stay in the deal. With the Guatemalan flag already hoisted at the location of its new embassy in Jerusalem, there is a palpable mood of excitement among Israeli officials to see other countries doing the same very soon. ‘I want to move to Israel and run for prime minister,’ Roseanne Barr said on Sunday at the Jerusalem Post conference. ‘Israel does not want war with anyone but it will not allow Iranian positions and bases to launch missiles from Syria,’ Liberman added. ‘What’s important to us is that the defensive weapons the Russians are giving Syria won’t be used against us,’ Liberman stressed. The IDF said that the mortar was probably a ‘stray’ explosive and spillover from the ongoing Syrian civil war. No Israelis were reported to have been injured. ‘Israel has an ‘open account’ with the Palestinian people and has now taken the war between the sides overseas,’ said head of Hamas’ Political Bureau, Ismail Haniyeh on Saturday. Syria’s anti-aircraft defense system shot down missiles fired at the Shayrat air base, located in the Homs province, according to state television.